Hibbing, Minn. – Aug. 14, 2013 – Detroit Diesel Remanufacturing LLC (“Detroit Reman”) today hosted industry media at its facility in Hibbing, Minn., to showcase electronics remanufacturing and manufacturing capabilities. The announcement to move the facility into a speculative industrial building located on the Range Regional Airport property was also made. Today’s move announcement is the result of continuing support from local agencies, including the Iron Range Resources and Rehabilitation Board (IRRRB), whose mission is to promote and invest in business, community, and workforce development for the betterment of northeastern Minnesota. 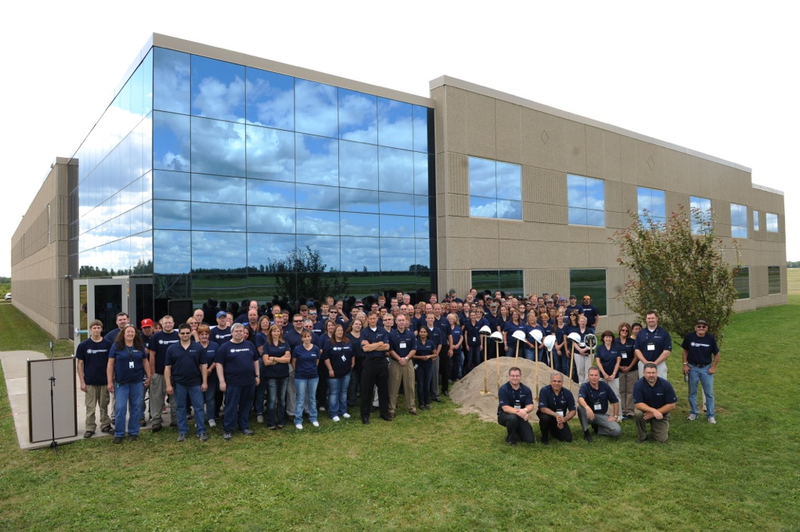 The Hibbing facility has experienced significant growth since its acquisition by Detroit Diesel Remanufacturing LLC in 2007. An additional 30,000 sq. ft. will immediately be added to the 30,000 sq. 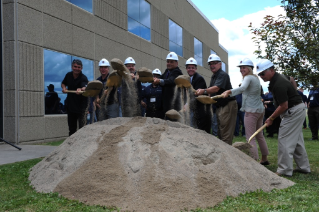 ft. airport location to provide the space necessary to support the electronic manufacturing and remanufacturing activities well into the future. Relocation of existing operations will be complete in early 2015. The move to the new facility accommodates Detroit Reman’s planned expansion and growth in Hibbing, retains 100 existing jobs, and creates the potential for 30-50 new jobs within the next 3-5 years. The event also provided an opportunity to announce the appointment of Sanjiv Khurana as president of Detroit Diesel Remanufacturing LLC, assuming overall responsibility of DTNA's remanufacturing activities. Mr. Khurana is succeeding Stefan Kurschner who, after four years with Detroit Reman, begins his new assignment as president and CEO of Daimler Vehiculos Comerciales Mexico on September 1st. Detroit Reman’s Hibbing facility remanufactures a complete line of electronic and mechatronic components under various brands, including the Detroit™ Genuine Parts brand for DTNA’s on-highway market. The current product portfolio includes new and remanufactured engine controllers, transmission controllers, vehicle controllers, turbo actuators, EGR actuators, variable pressure output devices, intake throttle controllers, instrument clusters and audio amplifiers. 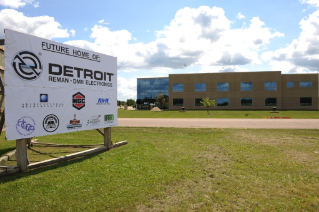 Detroit Reman offers contract manufacturing services for custom wiring harnesses, circuit board assemblies, UL-certifiable control panels, test systems, and relay boxes for a growing list of key contract customers. Detroit Reman also specializes in new electronic builds to support lifecycle management and control products’ end of life costs. As part of the Daimler AG family (Daimler Trucks North America), Detroit Reman is fast becoming a leader in the remanufacture and manufacture of electronics. In addition to a strong foundation in the heavy duty equipment, truck, and passenger car markets, product segments also include agriculture, transit and rail applications. Detroit Diesel Remanufacturing LLC is a leader in the remanufacture of products for on- and off-highway power systems. Detroit Reman employs approximately 1,400 people at six remanufacturing facilities strategically located in the U.S. and Mexico. Detroit Reman continuously improves its capabilities to remanufacture an expanding product portfolio to meet its customers’ needs.